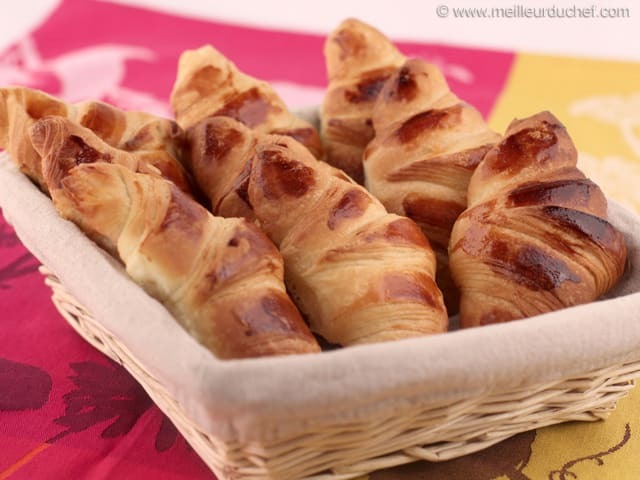 Before starting this Croissants recipe, make sure you have organised all the necessary ingredients. Tip the flour in the stand mixer recipient. Add the yeast on one side of the bowl. The sugar and salt should not come into direct contact with the yeast, as it would lose its rising properties. Add the warm milk (30°C) and the butter at room temperature.